Do you need a bigger file? The file available on this site is 1024 x 802 px. To obtain an alternate file type or higher resolution copy, please contact the owning institution. 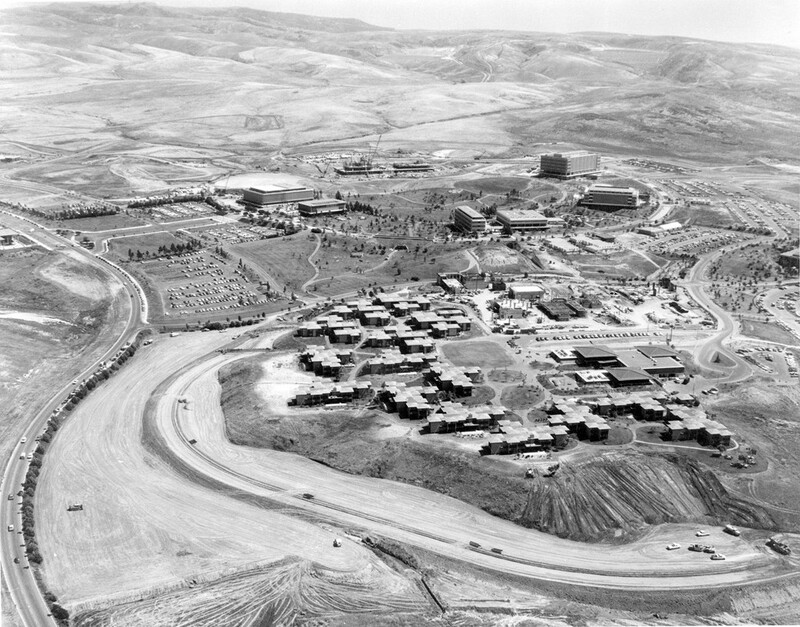 Scope/Content: Aerial view in spring of 1969 shows Mesa Court in foreground and adjacent site of Fine Arts-Village construction. Upper left, Library-Administration (now Langson Library) addition exterior is near completion and just to the right is construction site of School of Engineering. Original: 4x5" black-and-white negative, 11x14" black-and-white photographic print.